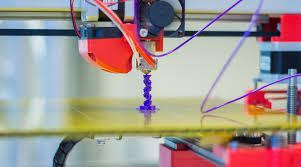 Advances in 3D printing and the fact that 3D printers are now more readily accessible have made it easier and less expensive for companies to produce products and to manufacture them from a single article rather than needing multiple components. The 3D printing process starts with a digital file that is exported to a 3D printer using dedicated software which transforms the digital model into a physical object using a process where molten material is built up layer by layer until the finished object emerges. Patent filings relating to 3D printing have increased 23-fold over the last five years and trade mark filings for businesses involved in 3D printing have increased 300% during the same time. The potential to infringe intellectual property rights raises serious concerns for innovators. Prosecuting cases of IP infringement in 3D printing because the industry in relatively new remains complex . However early and robust patent protection will become increasingly important for IP owners looking to protect their 3D innovations and to deter would-be infringers. It has been suggested that IP owners would be well advised to establish a portfolio of copyrightable files (as copyright lasts up to 70 years beyond the death of the author) essential to the products they are trying to protect. These files once protected through copyright could provide a significant source of future profit for the IP owners.